The first time I drove through the sleepy and rural town of Waimanalo, I had to do a double take — was that a a polo field I just saw? Turns out, it was! Yep, the sport of kings is big business in the islands. And, taking-in a match while you’re on vacation could be one of the most memorable things you do here! Polo in Hawaii dates back to the last decades of the 19th century and is intimately intertwined with the culture of the “Paniolo,” the Hawaiian cowboy. Colorful, romantic and dramatic, the paniolo tradition is that classic blending of East, West and Polynesia which defines the best of Hawaii Polo, the most exciting and consuming of horse sports, was a natural outgrowth of the Hawaiian cowboy’s love of horses, excitement and drama. That polo was introduced in Hawaii not via America, but from Asia, through an Australian cowboy visiting from India, is even more proper and fitting to the multi-cultural, ethnic blending which helps define our island culture in Hawaii. Waimanalo with the Koolaus in the background. The matches are played on a field equivalent to the size of nine football fields. The Honolulu Polo Club sits on 27 acres in Waimanalo with the beautiful Koolaus in the background. The matches are played on a field equivalent to the size of nine football fields. Since 1986, the Honolulu Polo Club has been a club member of the Hawaiian Islands Circuit of the United States Polo Association. 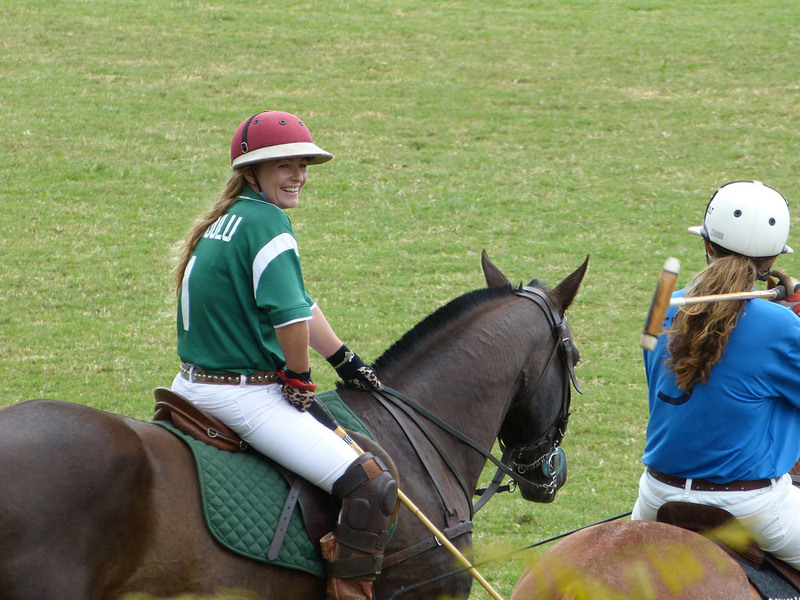 The Honolulu Polo Club schedules five to seven USPA tournaments each year. 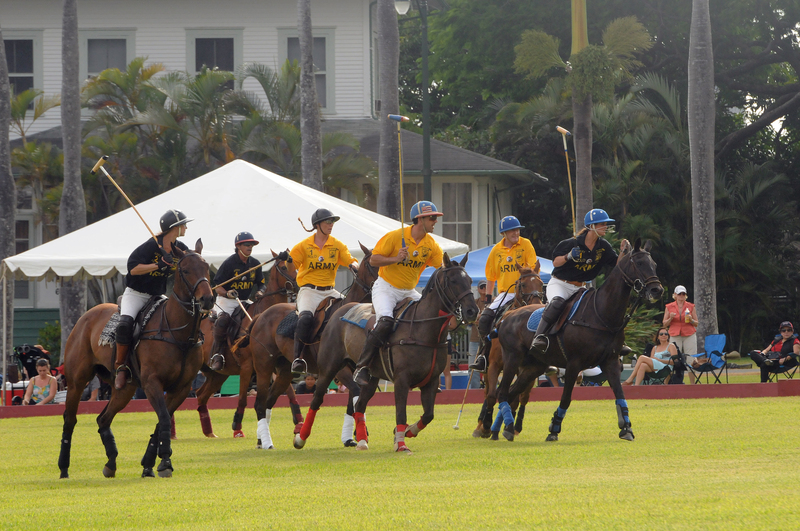 Organized in 1986 and originally known as the Waimanalo Polo Club, the first match was played in March 1987. Matches were played on Saturdays. In 1990, the club changed the name to the Honolulu Polo Club and moved to Sunday matches. Note: If you’ve booked an Oahu Circle Island Tour, make sure you ask your guide to take you by the Waimanalo Polo Fields — you drive right by! Gates open at 11:00am, 1st game at 1:30pm, feature match at 3:30, band starts at 5:00pm. Enjoying a day of polo in Hawaii could be one of the most unique and fascinating experiences you have here. So, put on your Sunday best, have a cocktail, and head out for a day of upper-crust excitement!